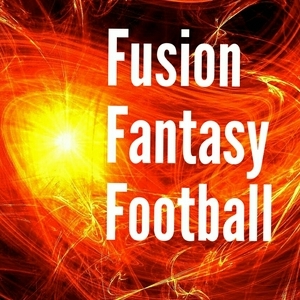 @FusionFFB puts in the time consuming Fantasy Football content so we can break it down for you, bite size, with all the perspectives so that you can make up your own mind or know where to learn more. Reviewing the changed landscape after all these free agent signings. I also restate an important truth Peter Howard was trying to tell me. Follow and DM @FusionFFB or email FusionFFB@gmail.com for an invite to the FusionFFB GroupMe chat. I'm joined by Peter Howard (@Pahowdy) to get insight into what exactly we can and cannot learn from the combine drills and results. Check out Peter's Projections Model and Video Course. http://rebeccaphoward.net/courses/petes-page/ Follow me @FusionFFB and DM me or email FusionFFB@gmail.com for an invite to the FusionFFB GroupMe chat. A few offseason Dynasty tips and then I share my toolbox of resources for studying the incoming rookies. I also premiere my "Dual Monitor" segment, taking a break from football for a few minutes. Starting off 2019 with a look at some overlooked trade targets for the offseason. Touching base as we head into the playoffs. Evaluating some advice, ranting about tight ends and kickers, and a little pep talk to chase those trophies. Quick rundown of players before you set your lineups for all my fellow procrastinators. I go over some late season moves you can make with a Buy, Sell, Stash and talk about setting your team up to win the 'ship. I'm alive! Quick impromptu rant after hearing Chris Harris encourage a nonsensical film vs numbers analysis. Get me some feedback, if you don't mind lesser quality recording if the content is worth it, let me know! I'm joined by Brad Reyes @MeanMrMode (which I completely said wrong on the pod) who's currently covering PlayDraft for TheQuantEdge.com as we talk matchups, lineup decisions and big game options for Week 5. I name two players from each matchup that are not top 12 RB/WR that I would be confident starting this week. I also review the names from my Signing the Waiver article. I'm joined by my #SFB8 opponent, Gabe Benson (@Dynasty_Benson) and we talk match-ups and players. Just a short episode out to you ahead of the Thursday Night game. Join me as I talk about running victory laps, Marcus Mariota’s nerves (shout out to @DrJesseMorse) and, of course, TNF itself. I'm joined by Sam Lane @FFStompy for a no-holds-barred Fake Football Fight over Alex Collins and Javorius Allen. I'm joined by my #SFB8 opponent Mike Alexander @Roto_Wan as we use our matchup to talk about some of the common players and games involved that hopefully overlap with your own teams. I give some players you may want on your bench before they go off so you don't have to pay up on waivers. I also straighten out some fake news and then we review the first Thursday night game. I give some "Mild Predictions" that will actually help you win your leagues, not just make me sound smart. Plus a review of my draft strategy "Drafting From:" articles to help you when drafting from specific spots in your draft. I get a little heated talking about incoherent RB narratives and the difference between position and role. Then wrap up Chicago and Green Bay's Snapshot Reviews. Trigger warning if you love Ronald Jones, hate Mckinnon and McNichols, and think Dalvin Cook will get a 70% opportunity share. A Podcast Profile for the Break from the Grind Pod with hosts George @bftgpod and Jason @DrMilbarge Check out their pod at BFTGPodcast.com Break from the Grind isn't your usual Fantasy Football podcast, interviewing some big names but from an entirely different angle. When you need a break from the usual FF Podcast monotony, you need Break from the Grind. Robert Wilson (@TheFFGator) joins me to talk Minnesota and Detroit. Hear why he likes Diggs and whether Golden Tate can repeat as a WR1. A short pod taking a break from the Snapshot Reviews and introducing my friend Stanley who reviews the storylines in the news. Going over the Team Projection Snapshots for the AFC East. Check FusionFFB.com to see the snapshots and rankings yourself. Few updates after I recorded: Elijah McGuire's injury will hold him out several weeks and will depress his early numbers. Stat updates upcoming. Rookie Trenton Cannon could benefit. I dive into my Team Projection Snapshot for the Indianapolis Colts, the first in a series of episodes looking at teams as a whole and highlighting interesting players as values or overpriced in drafts. www.FusionFFB.com is finally here! I roll out the site, talk about my Team Projection Snapshots and the player rankings that come out of them, and give a little bit of new and analysis from around the league. Josh and I talk #SFB8 strategy, have a pretty long discussion on Jay Ajayi and other similar ADP running backs, and I secretly hint at or just plain call out four of my (at the time) upcoming SFB8 picks. Check out PlayerProfiler.com for the Ronald Jones metrics and clips from Matt Kelley @fantasy_mansion Rotounderworld Pod, @eliotcrist and his @draftdailypod with guest Adam Spinks @TheRBScout for the two polar perspectives I drew on most for this roundup. Also discussion on player's hype changing around you and I give you a sneak peak into how my team and player projections project will work. Come for Ronald Jones, stay for the Finding Nemo take. Quick amendment to my Draft Theory episode where I distracted myself and got off point. I have a drink and get talking league and draft game theory. How to approach a league with unusual scoring and how to take and keep the advantage throughout your draft. Also there's an opening in my DGAF Dynasty league, got to listen to find out. Unfiltered Anchor exclusive premiere. Connecting some dots on Ballage and Miami. I give the answers to the NES music challenge, rant a bit, and give a summary of thoughts on Sony Michel. -It was The Fantasy Football Dynasty (@TheFFDynasty) that talked about CMC (sorry, got distracted and didn't mention by name). -PPR points by position for each team since 2014: Addison Hayes of ffstatistics.com @amazehayes_ https://twitter.com/amazehayes_/status/996109318343806977?s=19 (Correction: Patriots were top 5 the last 3 years, not 4). -Fantasy Football Breakdown @FF_Breakdown Episode 73 has the discussion of Sony Michel. -Eliot Crist's @eliotcrist Draft Daily Pod @DraftDailyPod for Sony Michel with Charles Mcdonald (@fourverts) from back on February 6. Using our awareness of the spectrum of fantasy opinions to find missing or contradicting points on players. Email answers to FusionFFB@gmail.com or DM @FusionFFB on Twitter. I run through the first 2 rounds of similar Superflex 2TE Premium rookie drafts I recently did. We get a feel for the tiers and common runs that happen. I share a point on Guice's double jeopardy strikes as only a two-down back. We recap the landing spot rankings we looked at last week now that we know who went where in the NFL Draft. No frills run down of the landing spots for receivers, running backs and tight ends.